Juzuitsky kostol was originally a protestant church, later converted to belong to the Society of Jesus. The church dates back to the 17th century and sits in a quiet corner of the old town. The charming small church is perfect for a few pictures or simply to walk through yet another of Bratislava’s picture-perfect buildings. 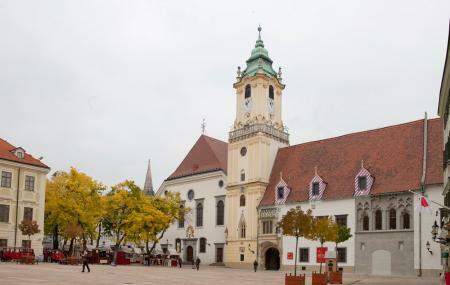 When in Bratislava, take a few minutes out to witness the architecture and tranquility of the church which is loved by locals and tourists alike. How popular is Jesuit Church? People normally club together Michael's Gate and Franciscan Church while planning their visit to Jesuit Church. Nice church right in tbe centre. A bit ornate for my taste but we caught 2 free, fabulous concerts while we were in Bratislava and we spent only 4 nights there. Check them out.